One family tradition that has carried over years and years is making ornaments with my kids each holiday season. I know some people have their picture perfect Christmas tree, but I prefer mine to be full of memories and handmade love. 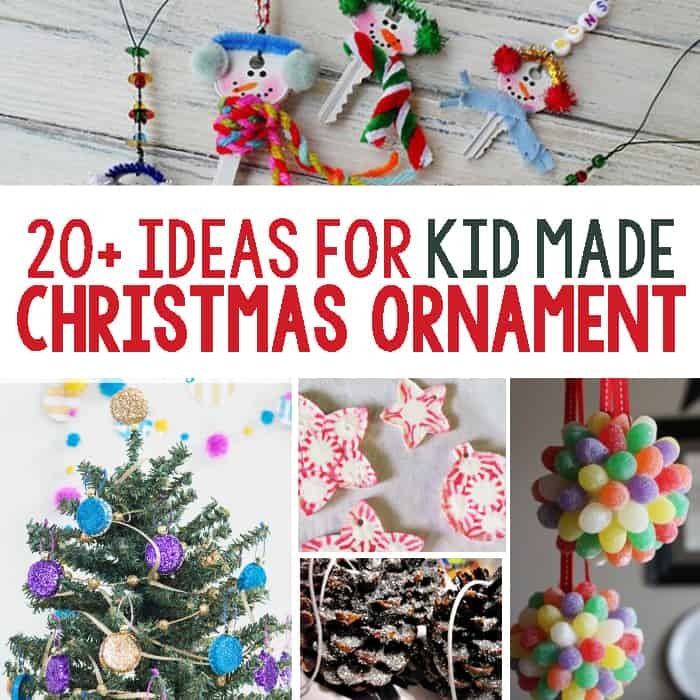 We are loving all of these Kid Made Christmas Ornament ideas and can’t wait to make ours this year! 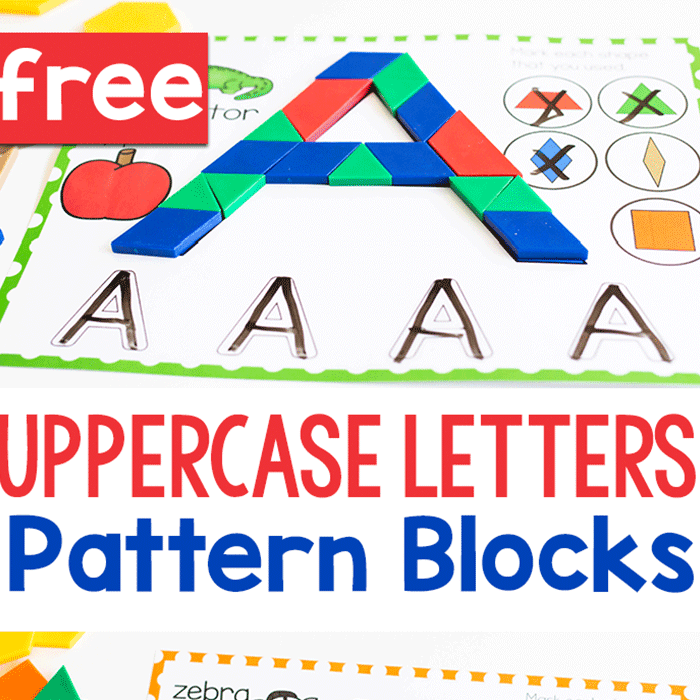 Popsicle sticks make for simple crafts for kids! Just like with these Reindeer Kid Christmas Ornaments. Popsicle sticks can also be perfect for these super cute Christmas Tree ornaments. 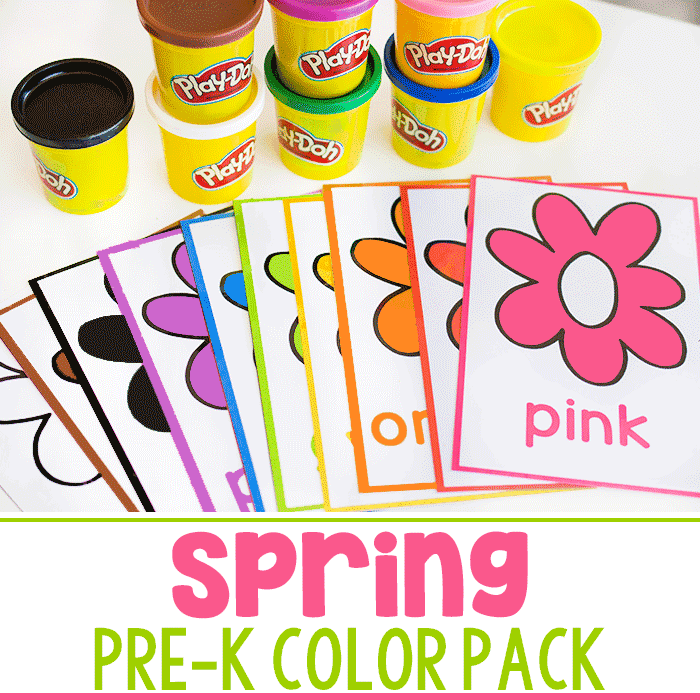 Even toddlers could help with this craft! Crayons are a classic children’s craft supply. Crayons do not need to be used only to color but can be used in magical ways like to make these melted crayon ornaments. Crafting with toilet paper rolls can be seen all over but these ornaments are such a fun way to use this recycled material. Peppermint candies are pretty inexpensive and with just a few other supplies this can be a fun way to make ornaments that also involves a little science! Decorating a Christmas tree can be a time full of memories and even more when a Time Capsule ornament is created. Whether you live in a place that it snows or not, snow is a part of winter and many people’s Christmas decorations. This snow filled ornament is easy for kids and a perfect representation of the weather! Gum drops are a quintessential Christmas candy, besides chocolate of course. These Gum Drop ornaments are super cute and colorful, perfect for children! 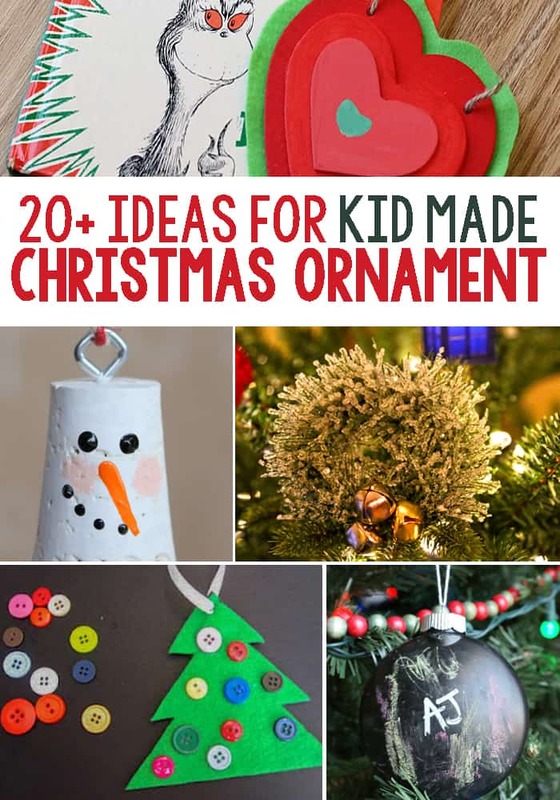 This is a simple ornament that even toddlers can create. The pine cones are already created so it is just the simple addition is to add glitter to make them sparkle! 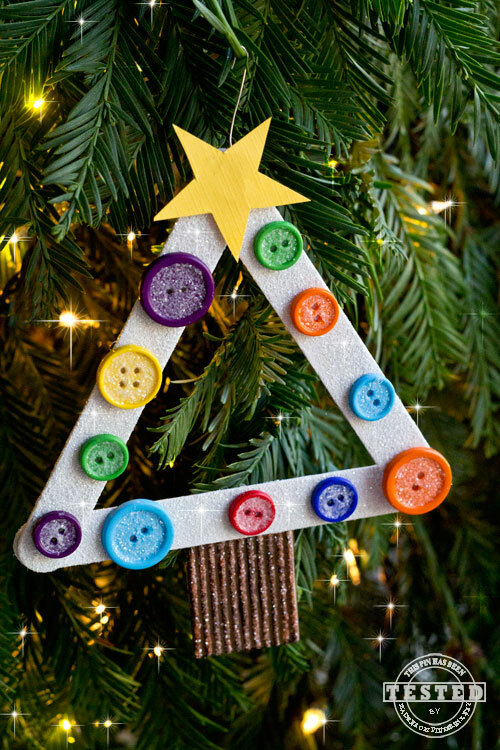 Felt also makes fabulous canvas for Christmas ornaments. These felt Christmas trees can also be done by all kids from toddlers to teens! Recycling old materials is a great way to make new ornaments, including recycling keys to make these adorable snowman ornaments! These cork snowman ornaments are a sweet way for kids to make ornaments. This would also be a fabulous topper for simple friends and family’s gifts! Creating is not just crafts. Creating can include science just like with these kid made Crystal Wreath Ornaments. If you have any form of cold weather you have probably seen icicles. These icicle ornaments are sweet and can be customized by each child. Jar lids that may just get tossed to the side make great ornament frames. 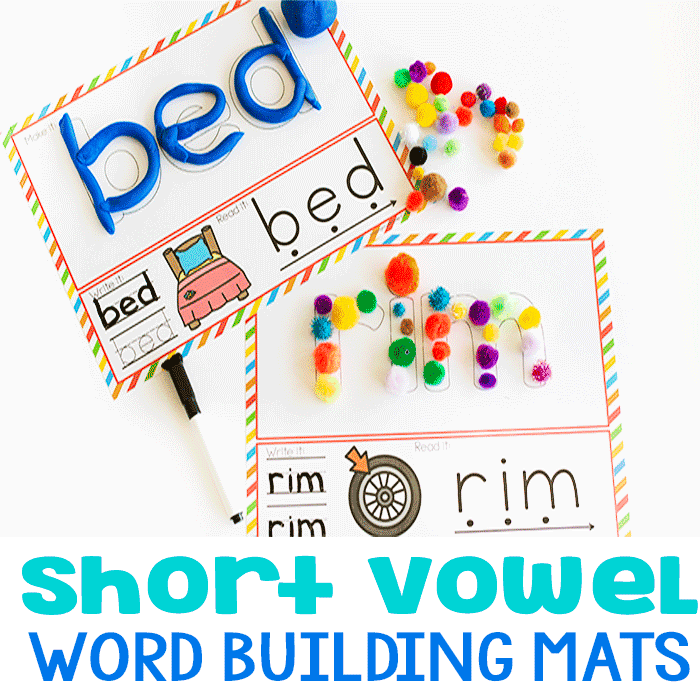 These can be customized by each child and can last for years to come. Ornaments come in all different sizes and shapes, even tiny. These walnut shells make beautiful ornaments to help tell the story of Christmas. If your kids love chalkboards, these chalkboard painted ornaments will be right up their alley. The ornament can be used to write the year, a countdown to Christmas or so many other options. If your child has a love for the book The Fantastic Fox, this felt cat ornament would be a perfect idea! How The Grinch Stole Christmas is a classic Christmas story and this heart ornament is a fun way to remember the wonderful story! Snowball fights are a fun winter activity and this The Snowy Day inspired ornament is a great addition to any Christmas tree! I love these ideas I can’t wait to make some with grandkids.